In December 2011, The Supreme Court of Canada heard five major copyright cases. All five cases are appeals from decisions of the Canadian Copyright Board. The Court released its decisions in these five cases on July 12th, 2012. This series will analyse each of the five decisions in turn. In Entertainment Software Association and Entertainment Software Association Canada v. Society of Composers, Authors and Music Publishers of Canada, the Supreme Court of Canada dealt with section 3(1)(f) of the Copyright Act, the exclusive right to “communicate a work to the public by telecommunication”. The Court affirmed 5-4 that a tariff covering the communication of musical works over the internet should not apply to musical works included in videogames downloaded by end users. In a lengthy dissent, Justice Rothstein disagreed with the Majority saying he would have upheld the decision of the Copyright Board which was affirmed by the Federal Court of Appeals. This decision was one of two issued by the Court dealing with Section 3(1)(f). The other, Rogers v. SOCAN, will be discussed in the next instalment of this series. The Appellant ESA is an entity representing the interests of videogame publishers and distributors with regards to digital delivery of their games over the internet. The Respondent SOCAN is the Canadian copyright collective responsible for the licensing of performance rights and the collection of performance royalties in musical works. In 2007, the Copyright Board issued a decision approving a proposed tariff by SOCAN slated to cover the transmissions of musical works over the Internet. This Tariff (known as Tariff 22) impacted a number of different groups, among them the videogame industry. As Justice Abella -writing for the Majority- points out, the standard practice in the videogame industry is for the videogame publisher to negotiate a license with the copyright holder of the music included in the game before it is sold to the public. That is to say that the fee is negotiated without regard to the actual number of copies sold. Tariff 22 would force the online distributers of videogames to pay an additional royalty on a per transmission basis for each copy of a game sold over the internet. (f) in the case of any literary, dramatic, musical or artistic work, to communicate the work to the public by telecommunication,” (Emphasis added). According to the Majority, the Copyright Board committed two errors: 1) They misconstrued the provision in light of the legislative history of the Act and; 2) failed to consider the guiding principle of technological neutrality. Dealing first with the legislative evolution of the provision, the Majority explains that “communication” in the copyright context has historically been associated with the performance right and not the reproduction right. This extension of the performance right was born out of Canada’s obligations under the 1886 Berne Convention and the subsequent “Rome Revision” of 1928. The Rome Revision was a response to the growing popularity of broadcasting musical works over radio. Under the 1931 Copyright Amendment Act, a radio broadcast of a musical work was hence forth to be considered a performance of that work. The Majority explains that the communication right, originally conceived for radio broadcasts, was only meant to cover “acoustic representations of the work”. SOCAN argued that when the Copyright Act was amended in 1988, a substantive change to the law was made. Under the 1931 Act, Section 3(1)(f) read: “(f) In case of any literary, dramatic, musical or artistic work, to communicate such work by radio communication.”(emphasis added). The 1988 amendment to the Copyright Act changed Section 3(1)(f) to read as follows: “(f) in the case of any literary, dramatic, musical or artistic work, to communicate the work to the public by telecommunication,” (Emphasis added). According to SOCAN’s submission, this change served to remove the previous requirement that the communication be an acoustic representation of the work. When a videogame is downloaded by a user, the musical works embedded in the game are not “performed” as such. They are transmitted without there having been any acoustic representation. was not meant to depart from the practice of the communication right being associated with performance. The Majority also proclaimed that the Copyright Board’s decision was incompatible with the principle of technological neutrality. Technological neutrality is the concept that copyright law should apply equally and in the same way regardless of the medium in which the work is reproduced (or performed). In this case, allowing Tariff 22 to apply to the online sale and distribution of videogames would be in direct conflict with that goal. Where a copy of a game enclosed in a box and sold in stores would not be captured by the tariff, the very same game, if downloaded over the internet, would be captured by the tariff. In both cases, the videogame publisher has already paid to license the music embedded in the game. The Majority of the Court could see no reason why when the very same product that is sold in stores is transmitted over the Internet, the rights holders should be entitled to a second layer of compensation. In Justice Abella’s own words, the Internet should be viewed as a “technological taxi” that delivers durable goods that are, in substance, the same as those purchased in stores. Justice Rothstein (writing for Justices Lebel, Fish and Cromwell), disagreed with the Majority and would have dismissed the Appeal. Furthermore, Rothstein’s disagreement with the Majority is on no small point. Where the Majority views the Section 3(1) copyright as a single right that can take a number of forms, Justice Rothstein views Section 3(1) as a “bundle of independent statutory rights”. 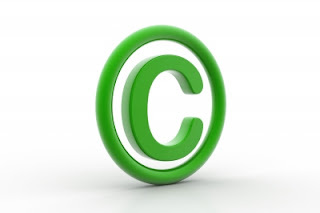 In his view, the language of Section 3(1) makes clear that the owner of copyright in a work may take advantage of the rights listed in each of the subparagraphs independently. Those rights may be layered regardless of the possible multiplicity of compensations for a single act. The Appellant’s argument dealt with Parliament’s use of the terms “communication” and “transmission”. An often cited principle of statutory interpretation says that when the legislator uses two different terms that may ordinarily have overlapping meaning, a separate meaning should be ascribed to each word. If not, why would Parliament not simply have used one term universally? Following from that reasoning, ESA argued that a communication is more than a simple transmission. In their view, in order for a work to be communicated, it must be transmitted in some perceivable form. When the videogame is downloaded to the customer’s computer there is no disputing that a transmission has occurred. However, that transmission should not be considered a communication in the same way that a song is communicated by telecommunication when it is streamed by a customer as an audio file. Justice Rothstein rejected this line of reasoning. He countered with a maxim of statutory interpretation of his own- that Parliament is presumed to give terms their ordinary meaning if those terms are not specially defined. Upon examining some dictionary definitions, Justice Rothstein concluded that communication and transmission, when given their ordinary meanings may be used interchangeably. Since these terms are not defined in Section 2 of the Act, they should be given their ordinary meaning. In giving the words their ordinary meaning, Rothstein found no reason to conclude that a communication need be perceivable by humans. In response to ESA’s contention that the communication right provided for in Section 3(1)(f) is merely a variant of the performance right, Justice Rothstein reiterates the fundamental schism between his and the Majority’s ideology on copyright. According to him, the Section 3(1)(f) communication right is entirely independent of the right to perform under Section 3(1). Furthermore, the Majority’s conclusion that subparagraphs (a) to (i) of Section 3(1) are only examples of the rights listed in paragraph (1)- namely to produce, reproduce, perform or publish- is incorrect. Rothstein cites 3(1)(i), the right: “(i) in the case of a musical work, to rent out a sound recording in which the work is embodied,”. He points out that it would be hard to assimilate the act of renting out a copy of a sound recording under producing, reproducing, performing or publishing. For this reason alone, Justice Rothstein’s construction of the Section 3 copyright is at odds with the Majority of the Court. In interpreting Justice Pigeon’s decision in Composers, Authors and Publishers Assn. Of Canada Ltd. v. CTV Television Network Ltd., Rothstein concludes that communication is a broader term than performance. In other words, a performance may be communicated, but not all communications are performances. In contrast with the Majority’s appraisal of the 1988 amendment to the Copyright Act, Justice Rothstein’s contention is that when Parliament updated the language of Section 3(1)(f), they wiped out any exclusive association of that section with conventional broadcasting. Justice Rothstein also dealt with several of ESA’s other arguments, namely: Comparison with American jurisprudence (para. 102); ESA’s argument that the sole purpose of the transmission is to deliver the videogame (para. 105); ESA’s claim that allowing this interpretation of Section 3(1)(f) may lead to unintended consequences (para. 108) and; Policy concerns raised by ESA (para. 118). While Justice Rothstein`s opinion is definitely not without merit, I would tend to agree with the Majority of the Court. I feel that the dissenting opinion didn’t show enough deference for the principle of technological neutrality. Rothstein is correct in pointing out that technological neutrality is not mandated by statute. Nevertheless, it remains an important principle of interpretation in copyright law. In fact, I would argue that technological neutrality gains more and more importance as we move further into an era where rapid technological development makes it practically impossible for legislation to account for all that technology makes possible. While it is clear that copyright is multifaceted I must agree with the Majority in that subparagraphs (a) to (i) of Section 3(1) are simply instances in which the four rights conferred by the first paragraph (produce, reproduce, perform and publish) find application. Subparagraph (a) clearly implies all four activities; Subparagraphs (b) to (e) have to do with producing or reproducing a work and; Subparagraph (f)- as per the Majority`s interpretation- is associated with performance. Subparagraphs (g),(h) and (i) are slightly more nuanced but may still be assimilated under the four categories of Section 3(1). Subparagraph (g), which deals with public exhibition of an artistic work, can be understood as an extension of the performance right. An art exhibition is to a painting what a concert is to a musical work. This interpretation is consistent with a certain neutrality as it pertains to the mediums applicable to different categories of copyrightable works. Subparagraphs (h) and (i) deal with the renting out of a work. With all deference to Justice Rothstein’s opinion to the contrary, I would argue that renting out is a form of distribution. While Section 3(1) of the Copyright Act doesn’t expressly mention the right to distribute a work it is not an insurmountable stretch to assimilate distribution under the definition of publishing. The Oxford Dictionary (Online) defines “publish” as: “prepare and issue (a book, journal, or piece of music) for public sale”. Wikipedia defines “publishing” as: “the process of production and dissemination of literature, music, or information”. To “prepare and issue” or “disseminate” seem like activities largely synonymous with the act of distributing (and by extension renting out) a work. This decision provides important clarification on the scope of the Section 3 right in general and the right to communicate a work by telecommunication in particular. While this case answers how Section 3(1)(f) is applied with reference to the downloading of copyright protected works over the Internet, it is in the companion decision Rogers v. SOCAN where the Court addresses the act of streaming copyright protected works. Together, these two decisions clarify the scope of Section 3(1)(f) as it pertains to the Internet.